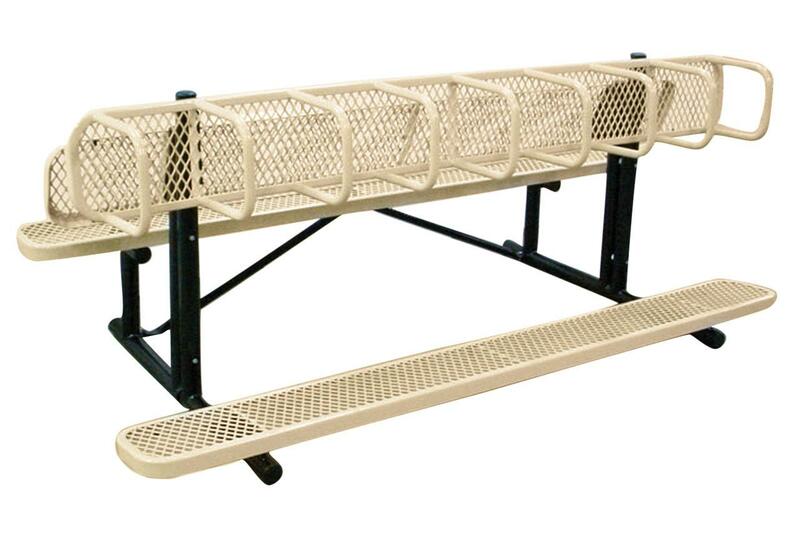 [XPB-GOLFBH-X] Our Outdoor Metal Golf Bench is perfect for the golf course or driving range. Bench is fabricated of heavy gauge metal and coated in a thermoplastic coating to protect the metal from weather and rust. Golf bench is available in 96" length and bench seat has a matching back rest and 96" long golf bag rest is featured behind the bench for golf bags. Available in choice of Expanded Metal or Perforated Metal Designs and 16 Designer Colors. Call us to customize your golf bench! For shipping quotes, discount pricing, orders or questions please call our Customer Service Center at 1-877-483-9270.